I think Leeman’s theme should be the theme for Dr. Quinn, and possibly every show ever made. 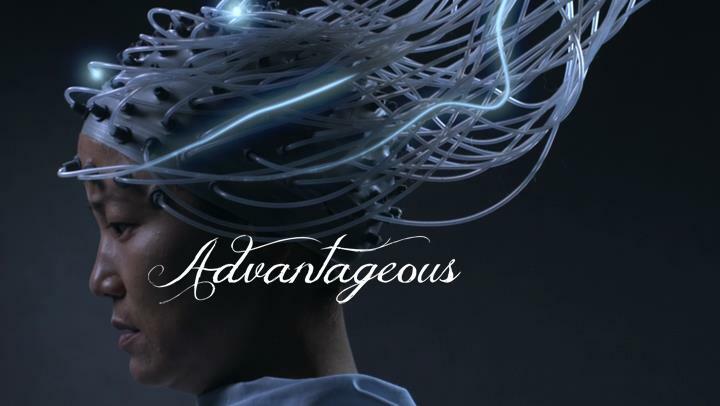 I watched “Advantageous” on Netflix specifically so I could listen to this podcast, so good job of efangelization! Spoilers ahoy. I liked the movie overall, but I actually HATED the plot twist. I can see why they did it–it fits the overall themes of the movie better, and it really drives home the commodification aspect of “we’re done with you and now we’re getting a new model”–and I might like it better on a rewatch, but that wasn’t the movie that I thought I was watching. During the middle third of the movie, I was really blown away by how seriously they were taking the premise of body switching and how horrifying it would be, and I felt as though having her fear and horror be about her death rather than about switching bodies cheapened that idea somewhat. I keep coming back to that Urbaniak line about how it isn’t like your consciousness is in a jar and we pour it over into another jar. He meant that the process itself destroyed your original consciousness, but I took the statement at face value on a first viewing and thought that it was an incredibly powerful and beautiful anti-Gnostic statement, that our bodies are more than just jars for our consciousness and that losing them would have effects on us that we can’t even begin to imagine. They definitely played with that idea, but again, I thought the twist really downplayed that element. I would have liked it better if I’d known what she was going through from the get-go so I didn’t think that I was watching a different movie that I found more compelling. That said, I’ve always found that “clone of your consciousness” thing to be a creepy underlying factor in a lot of transhumanist stuff. If you upload your consciousness into a network but you’re still using your body, that thing you uploaded isn’t you. It’s a copy of you. The you that’s still in your body is going to die. Unless you’re enough of a narcissist to think the world just can’t go on without a copy of you, there’s no appeal to transhumanism, because it isn’t actually going to make you live forever in the sense of avoiding death. Oh, and vis a vis “how far would you go for your children?”: I’m not sure if I’ve mentioned this, but watching Dark Knight as a parent was really unsettling. When I watched the ferry scene pre-kids, I could flatter myself that surely I’d be a moral paragon insisting that we not blow up the other guys to save ourselves. I didn’t know if it was true, but I could always imagine it. Post kids, though, when I was watching that scene, all I could think was that Billy would be on that boat. (Liza hadn’t been born yet.) I couldn’t even imagine myself voting to let ourselves get blown up. I could imagine myself not speaking out in favor of blowing up the other guys, but that was about as far as my heroism could go. Parenting does tend to send your moral sensibilities out the window. A great adolescent psych professor of mine in grad school talked with brutal honesty about how she would prostitute herself for her children if it came to it and how those instincts play out in lesser or greater degrees in all parenting.